Many of the windows we refurbish, renovate or replace belong to listed buildings. Defined as property judged to be of significant importance in terms of architectural, cultural or historical interest, it can be very difficult to alter or make changes to listed buildings whilst still maintaining their existing appearance. This can cause owners of such buildings difficulties when it comes insulating their property and meeting energy efficiency standards, which often includes improvement work to a property’s windows. All domestic and commercial buildings in the UK available to buy or rent must have an Energy Performance Certificate (EPC). 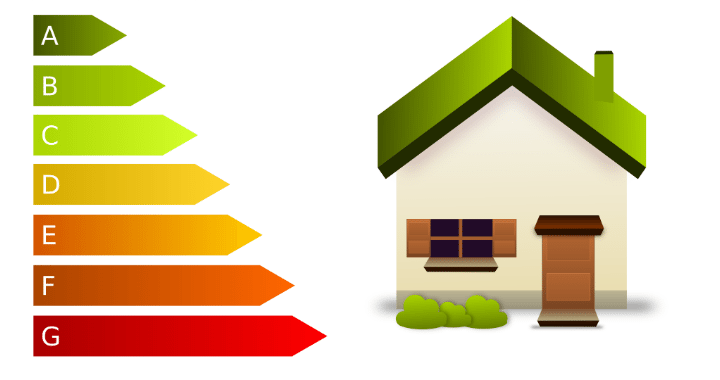 An EPC provides details on the energy performance of the property and what you can do to improve it. It has long been an area of contention as to whether listed buildings are exempt from EPC requirements due the alterations they may require a property to undergo. Although official legislation on the matter has recently been updated, the guidance is still open to interpretation and, with the impending Minimum Energy Efficiency Standards (MEES) compliance date looming, clear instruction is urgently needed. Come 1st April 2018, any new letting or renewal MUST have a minimum EPC rating of E. This extends to all lets in April 2020. Whilst some residential buildings are exempt from the current EPC ruling, where does this leave those property owners when it come to the new MEES compliance and their ability to make changes to heritage buildings? If they do not need to have an EPC certificate, how do they know if they meet the minimum E standard and whether they need to carry out any work? The general industry belief is that listed buildings are exempt as compliance with minimum energy performance requirements would unacceptably alter their character or appearance. Local authority planning and conservation officers are tasked with approving building alterations and so their advice should be sought before any work is carried out. However, to determine the current energy performance of a property, whether it meets the minimum E standard required in MEES legislation, and to know what improvements you need to make and thus whether or not any improvements are ‘unacceptable’, you first need to hold an EPC, something listed building owners are told they are exempt from… you see the conundrum? What can listed property owners do? Although joineryworkshop.com cannot offer legal advice on any property issues, we can help with sensitive property alterations that often satisfy conservation regulations and energy efficiency requirements. We also suggest that listed building owners or those living in conservation areas carry out their own research and take professional advice on EPC and MEES requirements, though joineryworkshop.com can carry out the necessary planning permission paperwork on behalf of customers. Once we begin working with listed building owners and those in conservation areas, we will strive to refurbish or renovate your existing windows to ensure their character isn’t lost. Where a window cannot be saved, a sympathetic replacement will be made. So much so that we will create an exact replica of your original unit, ensuring we preserve every detail. We could even fit your existing or new windows with double glazing to help improve energy efficiency, which is often a recommendation of an EPC report. If you’re the owner of a listed property with traditional sash or casement windows, please contact us for help creating energy efficient period windows. Please call 01225 430 650 or email enquiry@joineryworkshop.com.